Hissène Habré’s rule over the former French colony of Chad, from 1982 to 1990, was marked by numerous and credible allegations of systematic torture and crimes against humanity. Habré claims that he was not aware of violations committed by the Documentation and Security Directorate (DDS), the state security force that pursued political opponents and operated notorious prisons during his regime. In January 2010, the Human Rights Data Analysis Group (HRDAG) released a new study showing that Habré was well informed of the hundreds of deaths that occurred in prisons operated by the DDS. The HRDAG report, State Coordinated Violence in Chad under Hissène Habré, A Statistical Analysis of Reported Prison Mortality in Chad’s DDS Prisons and Command Responsibility of Hissène Habré, 1982-1990, is based on thousands of documents generated by the DDS. The analysis contained in the report could be critical in the long delayed prosecution of Habré who has been accused of killing and systematically torturing thousands of political opponents from 1982 to 1990. Human Rights Watch discovered a cache of DDS files by chance in 2001 at the abandoned DDS headquarters in N’Djamena, the Chadian capital. HRDAG has worked with Human Rights Watch since 2002 to analyze thousands of these records. The documents contain detailed accounts of the interrogations, movements, and deaths of prisoners, as well as information on the internal functioning of the DDS. In order to facilitate rigorous qualitative and quantitative analysis of this important evidence, HRDAG developed a Document Mapper database that cross-references individuals and institutions cited in the DDS documents. The analysis of DDS document flow included more than 2,700 administrative records that together illustrate a clear communication and command link between Habré and his state security force. A total of 12,321 individual victims were mentioned in the recovered documents including 1,208 individuals who died in detention. The findings confirm earlier qualitative accounts of prisoner conditions and high mortality within DDS prisons. Analysis of DDS records, including Situation Journals and death certificates, reveal that the mortality rate within the DDS prisons varied from 30 per 1,000 to 87 per 1,000 prisoners. This rate is substantially higher than the overall death rate of Chad in the 1970s and 1990s, which was less than 25 per 1,000. HRDAG’s analysis of the recovered documents was framed around the international legal doctrine of Command Responsibility. This doctrine, established by The Hague Conventions and progressively refined in criminal trials and international tribunals, sets out detailed criteria for the assessment of the individual responsibility of political and military leaders. Under this doctrine, superiors can incur criminal liability for acts committed by their subordinates if they fail to prevent or punish subordinates for their unlawful actions. Large-scale human rights violations were carried out inside the DDS prisons. Both Habré and the Director of the DDS were well informed of DDS operations. There was a superior-subordinate relationship between Habré and the DDS senior leadership. Habré now lives in exile in Senegal. The HRDAG report was submitted in 2008 to a Senegalese prosecutor. After years of political negotiations and stalling, in 2012 Senegal reached an agreement with the African Union to set up a special court to try Habré in Dakar, with the proceedings broadcast in Chad. The trial is expected to begin in 2013. Despite Habré’s denial of responsibility, prosecutors have been attempting to try the former Chadian dictator for a decade. The release of the 2010 HRDAG report coincides with the tenth anniversary of the first indictment against Habré on February 3, 2000, when he was indicted by a Senegalese judge for crimes against humanity. In November 2003, HRDAG team members Miguel Cruz, Kristen Cibelli, and Jana Dudukovic conducted a preliminary analysis of available documents from the DDS and testimonies collected by the Chadian Association of Victims of Political Repression and Crime (AVCRP). The report, entitled Preliminary Statistical Analysis of AVCRP & DDS Documents – A report to Human Rights Watch about Chad under the government of Hissène Habré, found that detainees within the DDS prisons were at least 16 times more likely to die than the general public. This mortality analysis drew on both the DDS’s own administrative records and victim-based testimonies. The HRDAG report was given to the Belgian judge to inform his preparation of a second indictment against Habré. 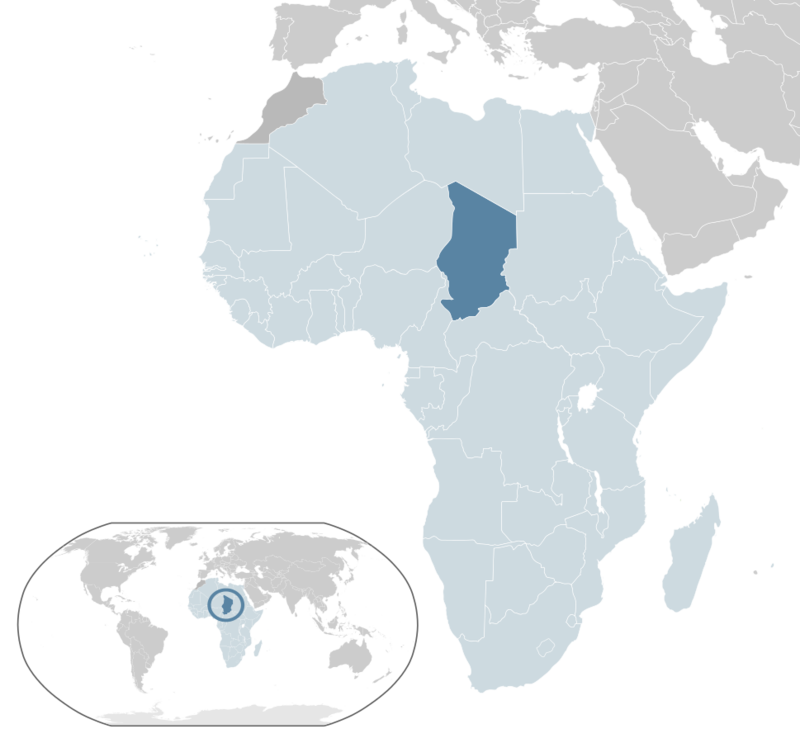 In early July 2005, HRDAG team members Romesh Silva and Scott Weikart contributed statistical analysis to a second Human Rights Watch Report entitled Chad: The Victims of Hissène Habré Still Awaiting Justice. In this report, HRDAG presented descriptive statistical analysis on the pattern of detention, and deaths in detention that had been documented in official records of the DDS. 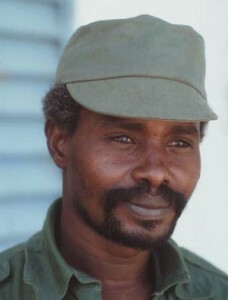 On September 27, 2005, a Belgian judge issued an international arrest warrant charging Hissène Habré with atrocities during his 1982-1990 regime. A total of 12,321 different victims were mentioned in the recovered administrative documents from the DDS. These victims were mentioned 39,981 times in 1,941 different documents. 93.5 percent (37,371/39,981) of the transcribed victim names appeared in documents that originated from the DDS itself. In the DDS documents retrieved by HRW, Hissène Habré received 1,265 direct communications from the DDS about the status of 898 detainees. 33.3 percent (296/898) of these victims were mentioned in multiple separate communications to Habré. HRDAG’s database and statistical work also contributed to the presentation of evidence against 41 of the highest-ranking former agents of the DDS. In response to this report, the Prime-Minister of Chad declared in August 2005 that all current officials who served as DDS agents under Habré would be removed from their official duties. The Chadian government also announced its intentions to provide compensation and erect a monument to honor the memory of the victims of political repression under Habré’s dictatorship.